Travels in England, 1782: Visiting Parliament. We’re in the midst of the mid-winter holiday season. We celebrate different holidays or just the winter season itself, with family, friends, and co-workers at events ranging from cocktail parties to cookie exchanges to potlucks (above Mélanie and I are celebrating with our good friend, the fabulous writer Veronica Wolff (also known as Auntie V) at a lovely holiday luncheon hosted by Catherine Coulter). But the events share warmth and celebration of those we care about – and many involve music. I recently wrote a blog for the Merola Opera Program in which I asked my co-workers and some of our board and alumni to share their favorite holiday or winter-themed music. Some common themes emerged but also wonderful variety (notably Have Yourself a Merry Little Christmas) but also wonderful variety ranging from Beethoven's Ninth to The Chipmunks Christmas. This prompted me to think about music my characters might associate with the season. A lot of holiday music comes from the Victorian era and the 1940s (eras that did not shy away from sentiment). One of my more embarrassing errors was to use Stille Nacht in Vienna Waltz when it wasn't written until 1816, two years after the 1814 setting of the novel (I always set in trouble when I assume I know research facts). However I can use God Rest Ye Merry, Gentlemen (the earliest known publication is a 1760 broadsheet). My choices for the Merola blog post were distinctly 20th century, I, too, love Have Yourself a Merry Little Christmas. 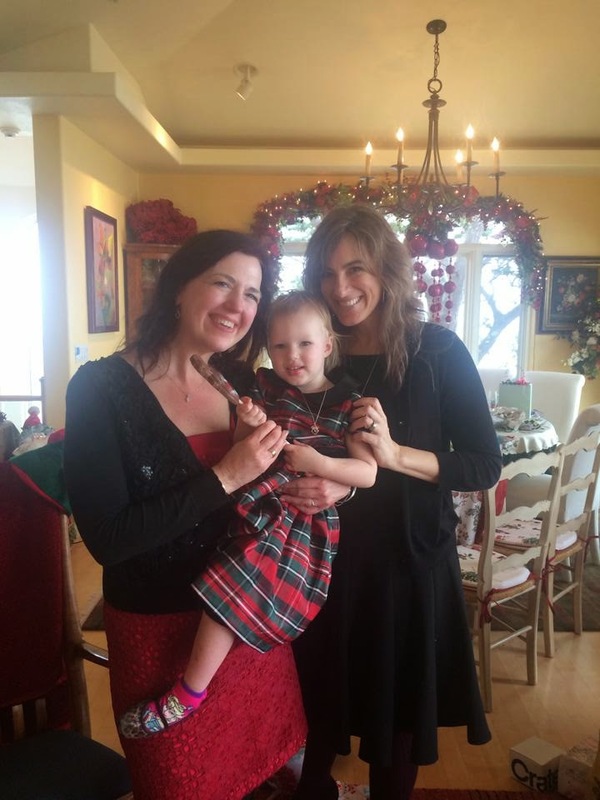 But two pieces of music this time of year have special associations for me with my mother and my daughter. My Mom and I always sang Rodgers & Hart’s The Shortest Day of the Year on the Winter Solstice. I still sit down at the piano and play and sing it, now with my daughter. My three-year-old daughter, Mélanie loves Diana Krall’s holiday CD, particularly Jingle Bells which she calls “Jingle Bells Away.” We put it on and dance around the house. We started doing this last holiday season and have been playing it all year (it’s says something about Diana Krall’s talent and my own love of holiday music that I’m not tired of it :-). What music evokes the season for you? Another celebrant of Winter Solstice! I'll have to look up The Shortest Day of the Year, it will be the Song of My Holiday. Caroling around a piano -- or -- my best memory of my recent sojourn in DC -- caroling with one old friend and a bunch of strangers at an organized caroling run in front of the White House and the National Christmas Tree. In NYC, walking down Fifth Avenue to see all the department stores' holiday windows, especially Saks Fifth Avenue, Bergdorf Goodman, and the best ever -- Lord & Taylor; the Rockefeller Center Xmas tree and skating rink -- and there is always music in the air from the sidewalk Santas! It's a beautiful song, Chatchien! Leslie, I love your musical holiday memories. I love the music in the era in New York over the holidays, Rockefeller Center in particular. Or around Union Square in San Francisco.